He works hard helping you hunt, but what he loves most is spending time with you when the family gathers around the tree. Include your Boykin Spaniel when sharing your holidays and creating new memories; that is what makes Christmas special. 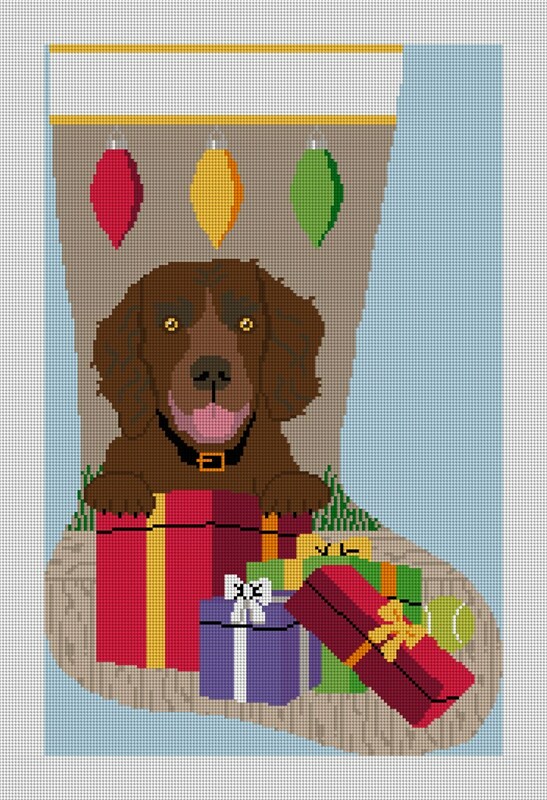 Stitch this needlepoint stocking canvas, and create a loving heirloom which includes your favorite family dog.